Avocado is one of the most nutritious fruits that have numerous health benefits. It is loaded with high fiber, can meet the 36% of daily requirement of vitamin K and contains Vitamins B5, B6, and vitamin C. It is rich in potassium and contains potassium more than twice of banana. Avocado is one of the few fruits that will provide you good fat. 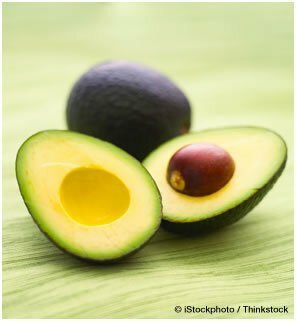 Avocados are high in monounsaturated fat as such many people avoid this fruit for the reason as they believe that all fats are bad for their health. Studies have shown that these are healthy fats which your body needs to function properly and avoid many diseases. 1. Avocados are excellent hair conditioner. If you apply mesh avocado into your hair and scalp, leave it for about half an hour and rinse out. Thereafter you can wash your hair with your regular shampoo; you will feel the positive difference in your hair. 2. Avocado is considered as one of the best and most effective natural moisturizer. It increases collagen production and reduces the size and appearance of wrinkles. Apply meshed avocado to your face or skin and let it there for few minutes to soak up the toxins. It will restore essential nutrients back to your skin and you will obtain immediate results. 3. Avocado contains some of the best anti-aging amino acids and anti-oxidants used in many anti-aging creams. You will get the benefits whether you eat the avocado or apply meshed pulp directly on your skin. If you are suffering from dry spots caused by sunburn or eczema or have been diagnosed with psoriasis, the healthy fat in avocado will moisturize, repair distress and inflammation and protect your skin from future damage. 4. Avocado oil is used to protect the skin from blistering sun, harsh wind and rain. It can also be used on lips to prevent chapping. The skin, pulp and seeds of avocados can also be used to treat constipation, dandruff, bruises and wounds. 5. You can also use avocado in face mask to lock the moisturizer in skin. You can prepare facial mask with following ingredients. Blend all the ingredients to make consistent mask. Apply on the face and leave it for 30 minutes. Wash your face alternating Luke warm water and cold water. Avocado helps the body to remain young from inside as well as from outside. Make avocado a part of your daily diet to reduce the risk of many health related diseases.